Hypoallergenic, 100% biodegradable and totally chlorine free. Soft and gentle on your little one's skin. Not just for bottoms, handy for faces and sticky fingers too! Lotion contains over 95% organic ingredients. 72 wipes made with organic Aloe Vera for its natural hydrating properties and natural Orange Blossom to gently nourish sensitive skin. The Beaming Baby Organic Baby Wipes - Pack of 72 product ethics are indicated below. To learn more about these product ethics and to see related products, follow the links below. I tried different organic baby wipes for my daughter and these are the only ones that did not make her delicate skin red. They are more on the dry side but still work perfectly. I do prefer the fragrance free ones but thats my personal preference. 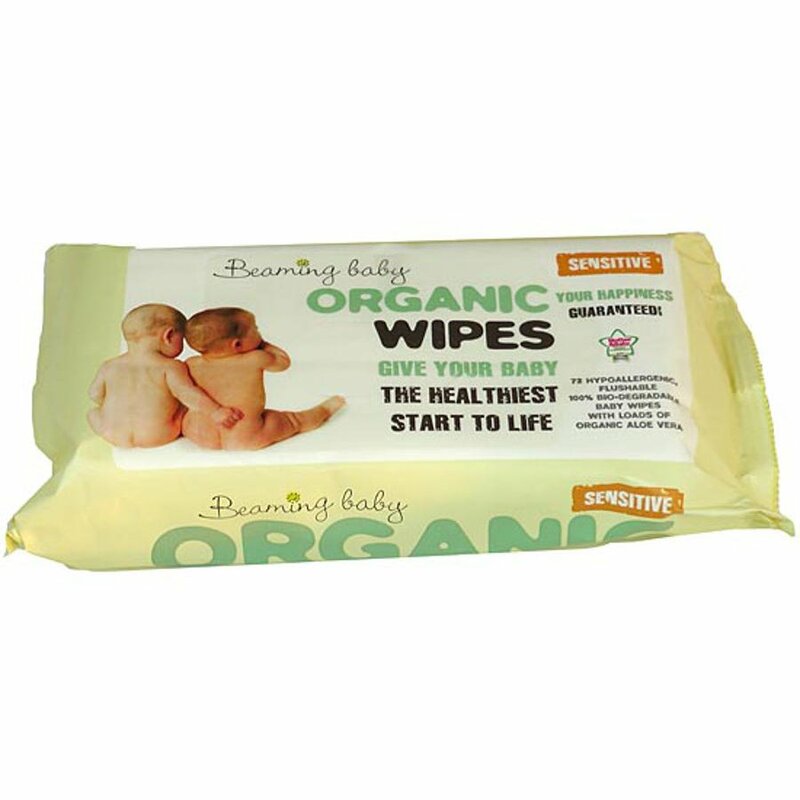 There are currently no questions to display about Beaming Baby Organic Baby Wipes - Pack of 72. Beaming baby was set up to provide a choice of organic and natural baby products to the UK consumer. Established in 2000 it has gone on to become a leading baby care retailer offering products including disposable nappies, organic wipes and organic cream.